B&W expands AirPlay speaker range with A7 and A5 models | What Hi-Fi? B&W is expanding its range of AirPlay wireless music systems with the introduction of the A7 and A5 models, selling for £700 and £400 respectively. Both will be available from October. Their design mirrors that of the B&W MM-1 desktop speakers: in essence, the A7 and A5 look like a couple of MM-1s joined together in a single unit. The larger A7 has a 15cm Kevlar-reinforced subwoofer and a bank of four stereo drivers (2 x 25mm tweeters/2 x 7.5cm midrange) powered by five dedicated Class D amplifiers, delivering 25W to the tweeters and midrange, plus 50W to the sub. What's more, its digital-to-analogue converter can upsample audio to 24-bit/96kHz. The more compact A5 has two 25mm Nautilus tube aluminium tweeters and a pair of 10cm mid/low range drivers, powered by 20W amplification. AirPlay compatibility means users can stream music via wi-fi or ethernet from an iPhone, iPad or a computer running iTunes. There's a free B&W Set-up App, downloadable from the App Store. 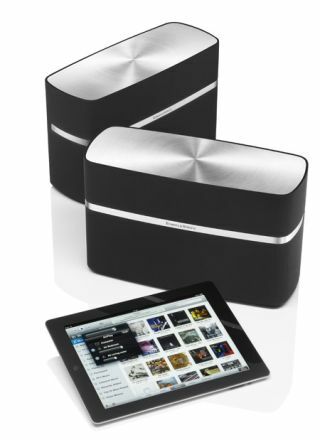 The A5 and A7 join the Zeppelin Air (£500) in the B&W range, bringing the number of AirPlay systems it sells to three.